Every so often my friend Debby, whom I still affectionately call “Asus Girl,” will check to see how I’m doing. Many times she shares really cool stuff, too. She’s working out of Taipei now, and her actual title is Global PR Manager for Asus. I call her “Kid,” ask her if she’s eating right—tell her to be safe—and get plenty of rest. I know she doesn’t listen to me, but I always listen to her when she says something is cool. 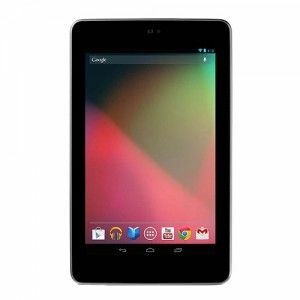 In Debby’s recent e-mail she wondered if I had read anything about the Nexus 7 just launched by Asus with Google. You had to be off the planet not to know about this. I haven’t had my hands on one, but this could be a little device that I need rather than want, and I’ll tell you why. And because Debby is so busy, she may read this post before her e-mail. So, Kids—Listen Up! So far, the new Microsoft Surface is more mist than substance. I don’t even know when, where, or price. I’d love to try one of those, but the business side of Microsoft seems to be run by people who have failed at the 5-cent lemonade stand business plan. I love the Surface concept, but where is it, and how much will it cost? Customers deserve to know—even the simplest things. Are they afraid that when it does finally come to market the smoke will dissipate and the mirrors will crack? Sorry for that side trip, but it is one of the reasons to take a look at the Asus Android Nexus running Jelly Bean. I know, Android dessert names aren’t easy on the stomach, but live with it—Google likes them for some reason. When you develop an OS name it better. Anyway, the Surface is nowhere to be seen, iPad has sold the stores out again, so it looks like Asus has dropped a gem to be reckoned with on the marketplace—right in the middle of everything—and it looks darn good at $199. So, what makes the Nexus 7 so appealing? Well, I’m not new to Android tablets. I actually had a 7-inch one from another company, and loved it. Unfortunately, the battery life was only 3 hours. Asus not only began the netbook craze, but led us down the road to amazing device battery life. 10 hour batteries became the norm—Asus knows how to make them last. The Nexus 7 is claiming 9.5-hour battery life. I know that’s optimal, but if it gets 6 or more with the things I do, that would be brilliant. Now, what would those things be—that I do? The reason I liked the little Android with the poor battery life was that its video and picture capabilities were spectacular. It was quick, clear, and sharing was easy. That little bugger was fast to boot, recognized a network in a flash, and allowed me to do everything from creating a document, checking and sending e-mail, as well as doing all the social media stuff, too. But, and it is a big BUT, the battery sucked. I couldn’t rely on it beyond 3 hours. If I can do all the things I need to do with a $199 inexpensive, well-built, 9.5-battery device—let’s just say, come to grandpa! And if you think apps will be scarce, you haven’t looked recently. Most of the apps you can get on any of the other devices can be downloaded and used on Android devices. There are plenty of free apps. The big divide isn’t there anymore. I know the iPad, I’m still waiting to see that Microsoft Surface, but I don’t have to wait to see the Nexus 7. I’m even told that I can use my Bluetooth (Apple) keyboard with it. While I don’t recommend, ever, spending less to get less, Asus has such a good reputation for making their machines play bigger than they are, convincing yourself you need a Nexus 7, at half the price of an iPad—makes it less a risk—if there is one. Now, I’ll be doing images and video at interviews with the onboard cameras, as well as using apps from the Android Store, but this is a device I can stick in my pocket for my grandson’s Tee-Ball baseball game, and quite possibly something educators will think about for class use with students, too. There are a lot of possibilities with the Nexus 7. Will Rogers, I never met an Asus I haven’t liked. Ken Royal is a teacher/education and education technology blogger/reporter, video interviewer, podcaster, education event news commentator with 34 years of classroom/school and instructional technology experience. His teaching accomplishments include: 4-time district teacher of the year, Connecticut Middle School Teacher of the Year, and Bill and Melinda Gates award for Technology School of Excellence. Read more of Ken’s work at Royal Reports http://www.royalreports.com.